Turn left after you emerge from the new tunnel. Sign says 'Los Bohios restaurant. Beach has dangerous rip tides, you should NOT swim here. Faro Punta Tuna. The beach you see is just east of the lighthouse and a lovely beach to walk on, can be rough, surfers come here. There are some local government run cement block cabins for rent (on what looks like an army camp, not at all attractive , bring your own sheets ) further up the on the beach. Managed by the municipality of Maunabo. 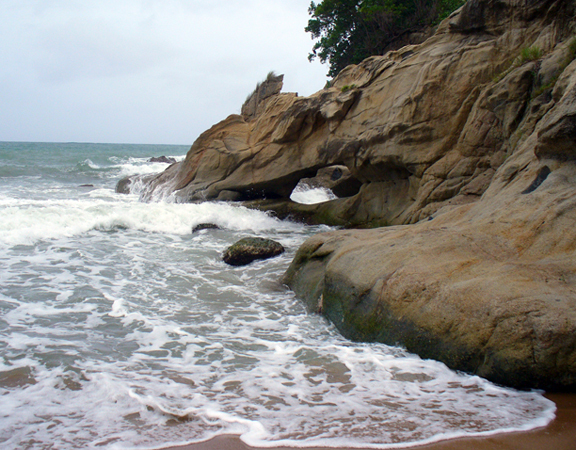 The beach right at Maunabo town is lovely to walk on also, the sand is very orange. 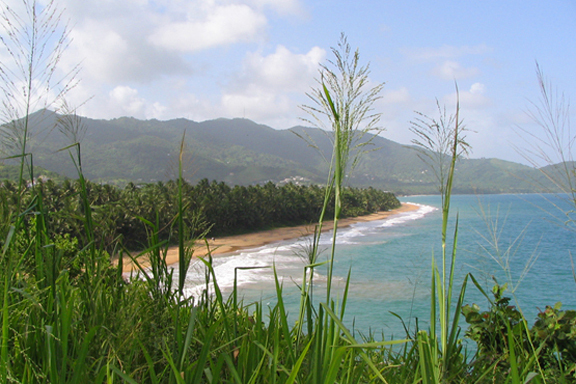 The Cabins run by the municipality of Maunabo might still be a great place to relax for a few days and take walks to the lighthouse on this gorgeous beach. Tel. 787-861-1353. Winter rates are less expensive at $50. weekdays and $65. weekends per night ( up to 6 persons) plus the ever present PR 9% room tax. . . by the way, sheets are $20. extra! ( for the entire stay, you can bring your own towels and sheets if you choose). Below, looking east from the lighthouse. 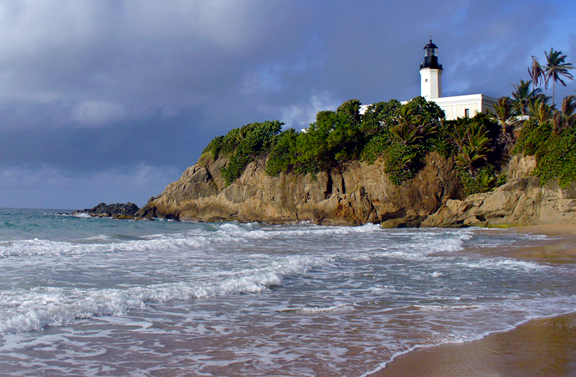 The municipality of Maunabo now maintains the lighthouse grounds open for visitors. 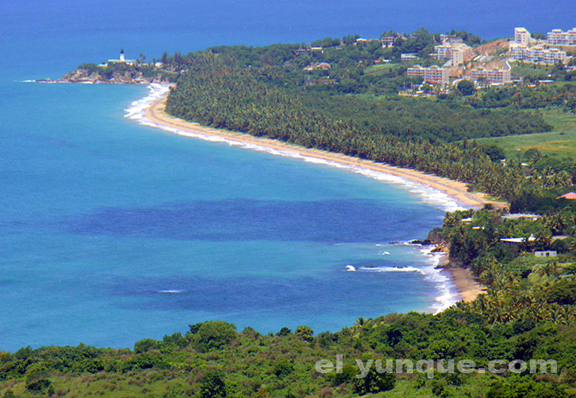 More beaches information on the Puerto Rico Beaches page.